All our rooms can be laid out in variety of different styles. You can use the guides below to see how different layouts might suit your event best. 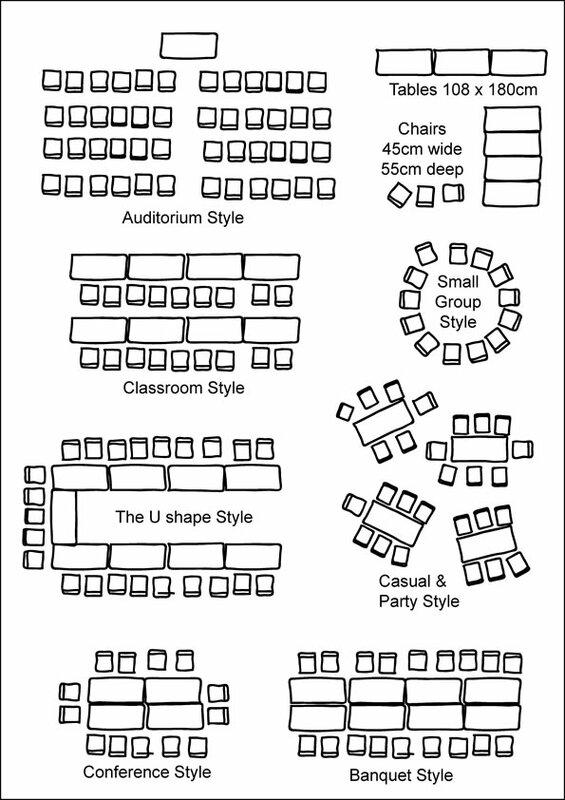 Some styles, like auditorium style, enable larger numbers of people to fit into the spaces, while others like the casual / party style will reduce the capacity of the room but ensure a cosy and intimate feel to your gathering. If in doubt, give us a call and we’ll be happy to talk through the options with you.